Winger Gael Kakuta is due back in England this weekend, after taking part in the Under-20 World Cup in Colombia with France. Ligue One Champions Lille are hopeful it will only be a temporary stay though, as they bid to sign him on loan. The move is one that has already been backed by his international boss Francis Smerecki, who believes it would represent a good deal for all parties. 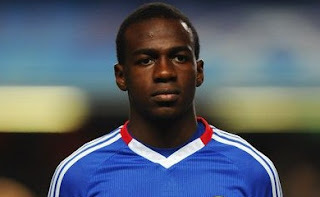 Kakuta is looking to add to his experience away from Chelsea, after completing last season on loan with Fulham. However, the switch across London wasn't as successful as first hoped, with the winger only featuring seven times. Lille are the player's preferred destination, but although they're in the driving seat, will want to negotiate with Chelsea over loan fee demands. Wigan Athletic, looking for a replacement for Charles N'Zogbia, and newly promoted Queens Park Rangers are alternate destinations if money proves to be a stumbling block.